Dr. Omar Elloumi is Head of M2M and Smart Grid standards within Alcatel-Lucent CTO. He is also the chair of oneM2M Technical Plenary after having led the oneM2M Architecture group delivering the first release of specifications. Omar joined Alcatel-Lucent in 1999 and held several positions including research, strategy and system architecture. He holds a Ph. D. degree in computer science and served on the ATM Forum and IPSphere Forum Board of Directors. 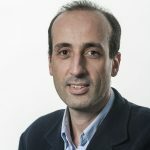 Omar Elloumi is co-editor of books on M2M communications and Internet of Things published in 2012. He is also involved in program committees of several international conferences on M2M and IoT.